Like many similar stories proliferating here since the revolution, Ms. Abdel Fattah’s kidnapping could not be confirmed. 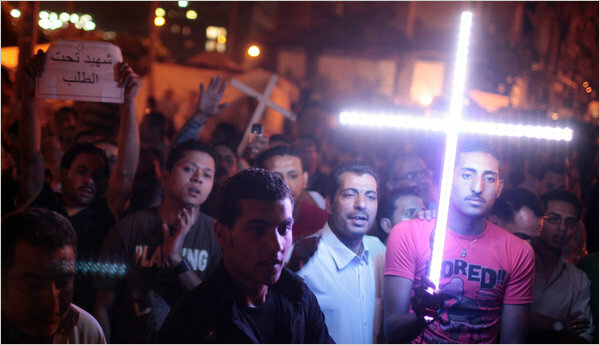 But for members of Egypt’s Coptic Christian minority, the sensational headline — from a respected publisher, no less — served to validate their fear that the Egyptian revolution had made their country less tolerant and more dangerous for religious minorities. The Arab Spring initially appeared to open a welcoming door to the dwindling number of Christian Arabs who, after years of feeling marginalized, eagerly joined the call for democracy and rule of law. But now many Christians here say they fear that the fall of the police state has allowed long-simmering tensions to explode, potentially threatening the character of Egypt, and the region. So, it turns out Islam is a religion. Imagine that. 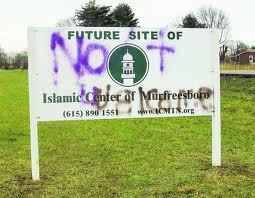 The need to defend this fundamental right was only one of the ordeals visited upon the Muslims of Murfreesboro, who have also faced threats, vandalism and arson. As recently, vividly illustrated in “Unwelcome: The Muslims Next Door,” a troubling CNN documentary, the antagonists here are a clownish band of bigots scared witless by the prospect that a new mosque will be built in their community by a congregation that has already worshipped in said community for 30 years. A young man sporting a coiffed block of dirty-blond hair steps to the microphone. He asks whether Professor Binhazim is still in the room, before fixing his eyes on the man seated in front of him. Of course Awadh Binhazim is still here. He’s a panelist at the Jan. 25, 2010, discussion on Vanderbilt’s campus — an event since watched by tens of thousands of viewers on YouTube. You know where this is going. The camera trains on Binhazim — an olive-skinned man with a polite haircut and trimmed salt-and-pepper beard, wearing a dark suit jacket, dark shirt and tie — for the gotcha moment. Instead, Binhazim winds into a three-minute, highly nuanced response. The questioner tries to interrupt. He just needs Binhazim, the adjunct Muslim chaplain at Vanderbilt, to say Islam requires him to believe in the killing of gays and lesbians; then he can get out of here. (Reuters) – Mohammed Fathi worked his brush gently over an icon of Virgin Mary and baby Jesus, removing soot from its surface inside a church gutted in an attack by Islamist militants this month. 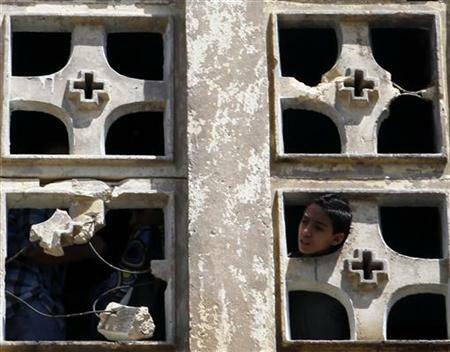 The 26-year-old is one of a vast group of mostly Muslim craftsmen tasked with restoring St Mary’s Church in the Cairo suburb of Imbaba after militants set it on fire on May 7. Egypt’s military rulers have ordered its restoration at a time when tensions between Christians, who account for about 10 percent of Egypt’s population, and Muslims are on the rise. Attacks have triggered protests and pose a challenge for Egypt’s new rulers, under pressure to impose security while seeking to avoid the tough tactics against Islamists used by deposed President Hosni Mubarak. A party formed by the Muslim Brotherhood to run in Egypt’s next parliamentary elections has chosen a Coptic intellectual as its vice president, in an effort to broaden its appeal. Rafiq Habib has been selected for the position in the Freedom and Justice Party as the Muslim Brotherhood seeks to establish its position in Egypt after years of being hamstringed by the ruling party. Submitting its legal papers to the party affairs committee for approval on Wednesday, the party’s secretary general, Mohamed Saad el-Katatni, said it now had nearly 9,000 members, including 978 women and 93 Coptic Christians. 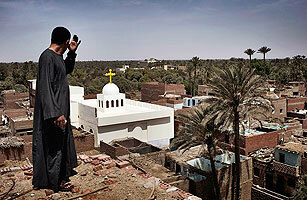 “The party is open to all Egyptians, Muslims and Copts alike,” he said. While confirming that the party would campaign for civic state “with religious reference” to Islam as the official state religion, he sought to assure that the rights and freedoms of Coptic Christians would be guaranteed. The elections are scheduled for the fall. This Just In: Tennessee Court Says Islam is a Religion! Editor’s Note: Stephen Prothero, a Boston University religion scholar and author of “God is Not One: The Eight Rival Religions that Run the World,” is a regular CNN Belief Blog contributor. A few months ago I spoke at an interfaith forum at the University of North Alabama. One of the speakers on my panel was Ossama Bahloul, imam of the Islamic Center of Murfreesboro. Bahloul began his talk by observing that God must have a sense of humor to have given him a name as problematic as Ossama. But the heart of his talk concerned the compatibility of Islam with American values.